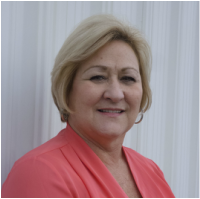 Kim has been with Sea Containers America, GESeaCo and SeaCo Parts International, Inc. for 24 years. She is responsible for purchasing, quoting of parts, and invoicing customers. Kim assures complete customer satisfaction and she is willing to go above and beyond to help customers, particularly in the area of technical support and part numbers.